Will LaSalle: [In response to Lisa's analysis of the group] Very Cute. Lisa: Well I've been around you know. I have seen all the skeletons in your closets. Probably even the ones you hide from each other. Camille: [sternly as she looks up] Okay that's enough. Great movie, great cast. Nice to see movies made here in New England. 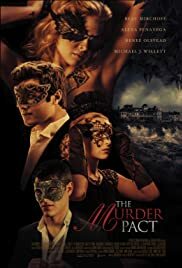 I have never been a fan of movies with murder but, this was a real mind opener with a mystery to solve. I still cant tell if it was scary or a thriller that had me intrigued to learn what had happened.